Yes, you read that headline directly. After seeing licences like Transformer, G.I. 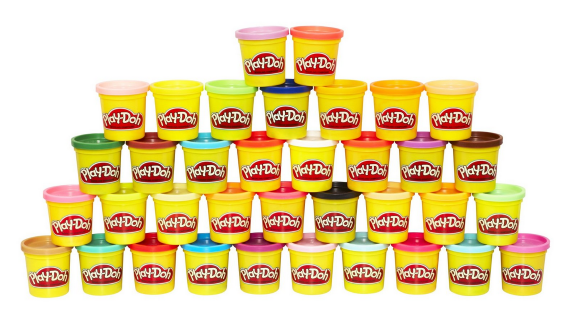 Joe, and Battleship make the jump to the big screen, Hasbro are teaming up with 20th Century Fox for a Play-Doh movie. What's more, Deadline are reporting that Bridemaids and next year's Ghostbusters reboot Paul Feig is in talks to write and direct the big screen outing of the mouldable clay that's fun to play with, not to eat. No doubt the success of The LEGO Movie has sparked this turn of events, and the involvement of Feig points to a direction very similar in tone to the adventures of Emmett and the rest of the Master Builders. But what was the best part of The LEGO Movie was the visual style and how striking it was, using all the different coloured blocks and various play sets to great effect. You just won't be able to make lumps of coloured modelling clay that interesting (well, they could if they went down the claymation route, but I see CGI animation in the Play-Doh movie's future), so it'll be interesting to see what approach the movie will take.